Hi all, do you realize Thanksgiving is just around the conner? Any shopping plans? I hesitated to buy any clothes on the sale racks right now, since I know there would be an extra 50% off next week. It will be my first time to shop black Friday in Boston. I am full of expectation now, though I know these stores will be super crowded. Let us see whether there is any luck :). 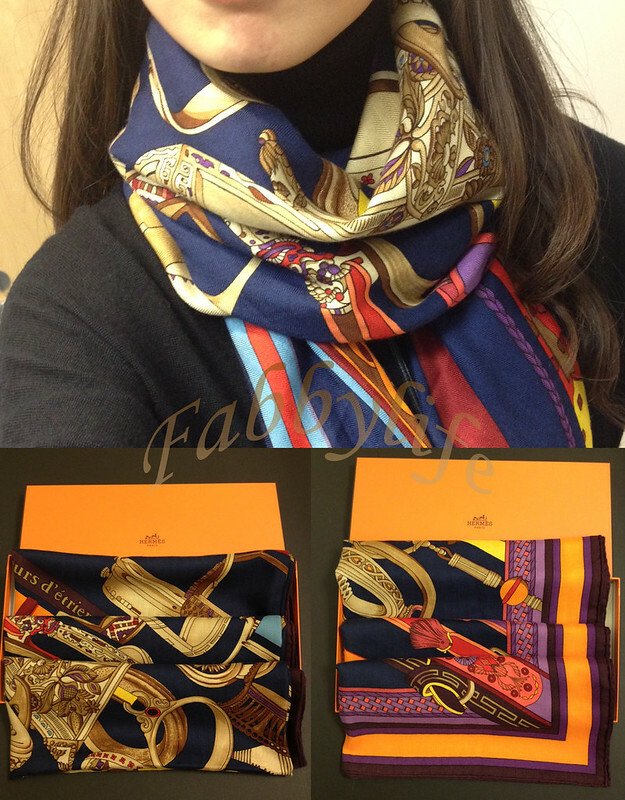 Share you some pictures of my birthday splurge: Hermes cashmere shawl. It has been on my wish list for a while, and finally it becomes one of my collections. After tried almost every single shawl in the counter, I picked Concours d'Etriers (stirrup contest) with a good combination of rich colors. 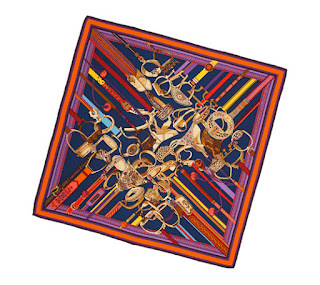 The middle of the shawl shows navy, brown and black; while the edge shows orange, purple and brick. To be honest, it is not hard to pick the first shawl. They are all elegant and totally different as my other scarves. I especially love the texture, soft, light and draped well. Since the shawl is so large (56'' by 56''), you can wear it in a variety ways (regular scarf, a large shawl, or even a dress). Compared with Hermes silk scarves, I feel this cashmere shawl is much easier to pull on! Last weekend, I tried a fox fur vest in INTERMIX and loved it head to toes. Since I already have a lamb fur vest, I passed it eventually. If any of you are considering a fur vest, you might want to check this one: Adrienne Landau in INTERMIX. Use code NOVLL12 to get 15% off. Size S works for me (I normally wear size xs). Happy shopping! gorgeous shawl. You look so pretty, seriously! My fox vest arrived today! Very pretty color and soft fur. :-) Love it. Thank you!